When newly installed wooden decking, wooden cladding, fencing and wooden furniture looks lovely. But algae grows on the srface turning the wood green, black or grey. Many people have the idea that when this happens there is little that can be done to stop it. However we at Leeksons have come accross many different types of woodwork and have transformed the look of many properties by cleaning them. We were asked to clean the walls, fascias, gutters, patios and conservatory of a house in Radyr, Cardiff. Whilst carrying out the work the home owner was so impressed with the look of the areas we had cleaned she asked us to clean the fencing on the side of her house. We treated the woodwork to kill the algae on the wood and gently pressure washed the area. 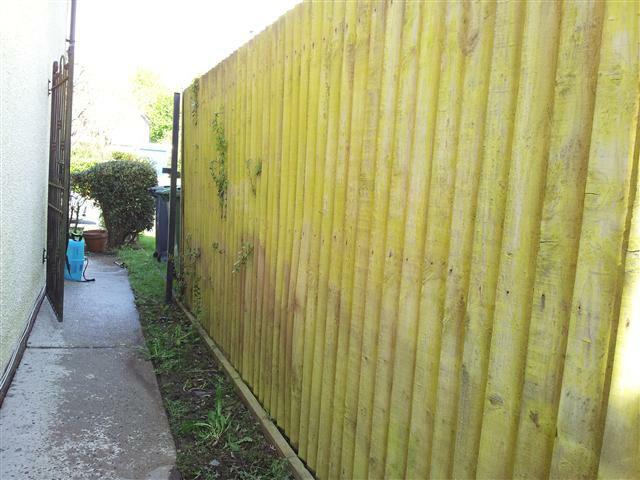 The home owner was thrilled with the result and asked us if we could clean the rest of the fencing around her gardens. 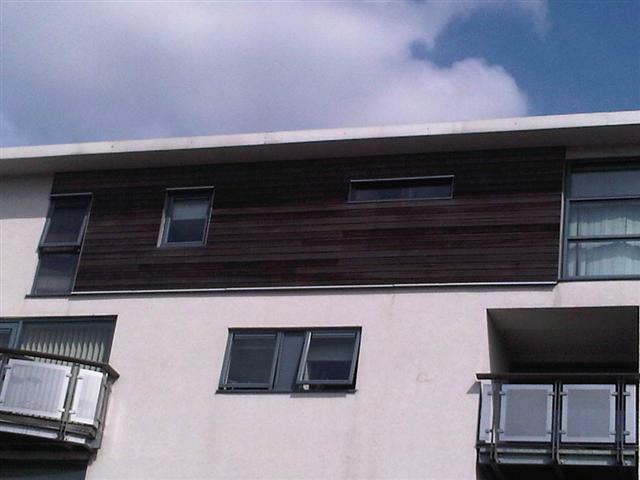 The wooden cladding shown below was cleaned as part of a large pressure washing job. 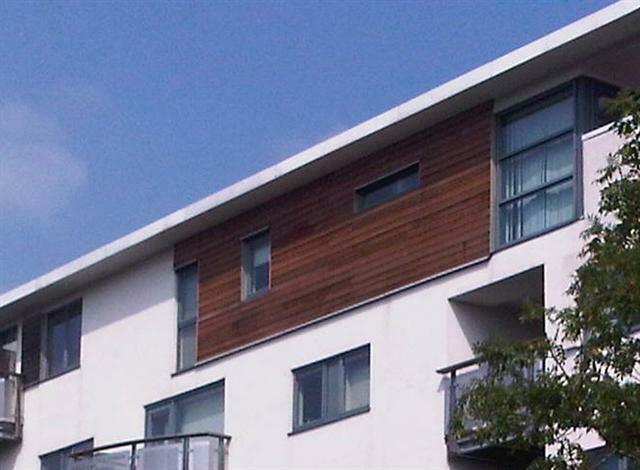 As a part of this job we cleaned all the wooden cladding and decking areas on balconies. The wood had become dull and dark and had lost it’s former look. A cherry picker was used to access the high areas. Once cleaned the woodwork was stained by a decorating team that we work closely with on many jobs. 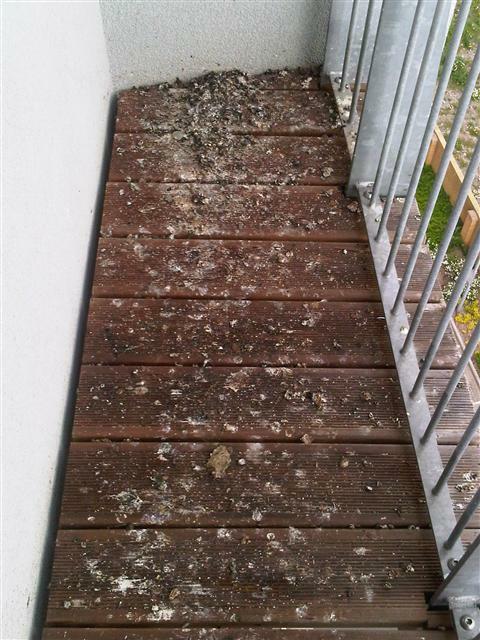 The decking shown below was on a balcony. Before we got there the balcony was unusable. Once we finished cleaning the area and disinfected the wood it could be enjoyed by the owner again. 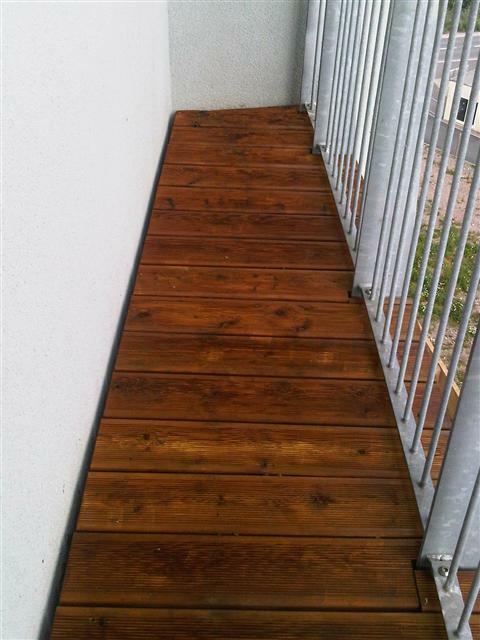 We clean wooden decking on balconies as well as decking areas in gardens. Within a couple of year ne decking fades to a grey colour which often makes the whole garden look old and dated. In one day we at Leeksons Professional Cleaning Services can bring your decking, and garden, back to life. Wooden garden furniture is open to the elements and, if not looked after, can soon look grey and dull instead of the colour wood is supposed to be. We can gently pressure wash your wooden furniture ready to be oiled or stained.